The 14k Yellow Gold Square and Compass Mortality Ring. Available with your choice of gemstone or centerpiece, in all sizes. Bro. Drew, UPS delivered my S&C Mortality ring this evening, out of the box and on the finger; the ring is all you said it would be. 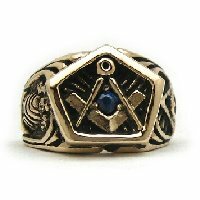 My sincere thanks for the way you worked with me again; this is perhaps the finest 3rd degree ring I have ever beheld. This is not a "cookie-cutter" mass produced item; rather, an individual work of art. I am attending a 3rd degree raising tomorrow night, and, as the lecture is given, I will be able to relate the symbols on my newest sample of your art. Thank you again, Brother. The symbolism of this ring stuck out to me for lots of reasons. 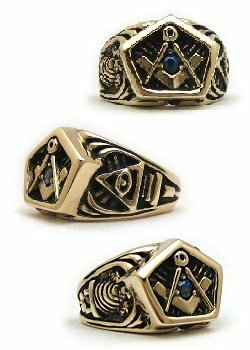 I made the decision, however, not to own a Masonic ring until I could purchase one as a past master. 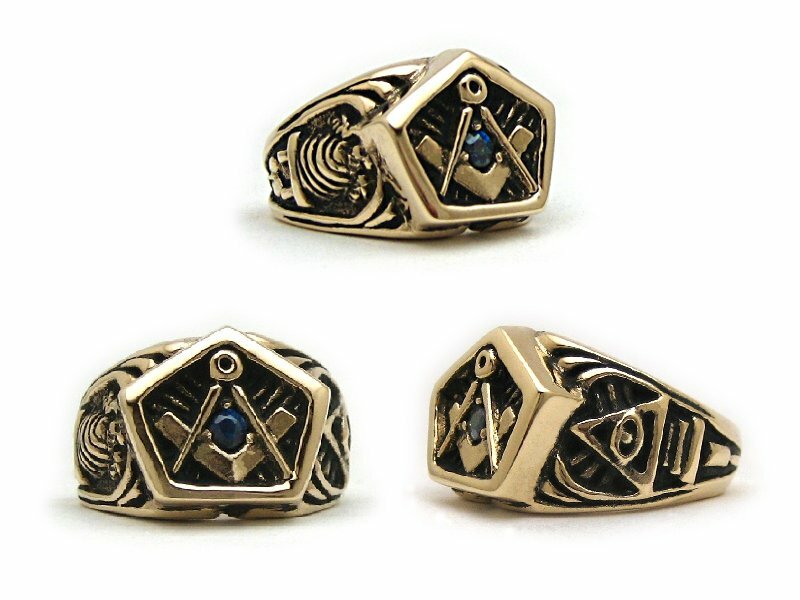 Today, my Lodge presented me with this ring as a gift from my Brothers after a year in the East. Two Past Grand Masters of Michigan and everyone else who asked to see the ring up close commented on the weight, and the beauty. My years of anticipation resulted in my complete satisfaction. Thank you Brother Drew for your contributions to the adornment of our craft!